Recently, I received a number of bottles of Madeira to sample. And, as I do so, I’ll be sure to report back to you on the results. But, before that, I thought it might be helpful to share a primer on what exactly Madeira is, for those who might not be too familiar with this fascinating Portuguese wine. Madeira, the wine, is named for the place where it’s made: the Portuguese archipelago of Madeira, which lies north of the Canary Islands and west of Morocco. Although Madeira is a province of Portugal, that country is located approximately 500 miles northeast of Madeira. So, Madeira is actually closer to Africa than to Europe. Fun fact: According to the Guinness World Records, Madeira—today a popular year-round resort—features the largest New Year’s fireworks celebration in the world. Like Port, Madeira is a fortified wine; brandy is added to the wine near the end of the fermentation process. In fact, when brandy is added to the wine, it stops the fermentation process, leaving a slightly sweet, fortified wine. The style and level of sweetness has a lot to do with when the fermentation process is stopped. As is the case for Port, this part of Portugal’s wine economy is mostly run by the British. Popular brands of Madeira tend to have Anglicized names like Blandy’s, Leacock’s, Sandeman and Cossart Gordon. And although I’ll bet most Americans don’t have a clue about Madeira, it is said to have played a role in the emergence of the United States as a democracy. 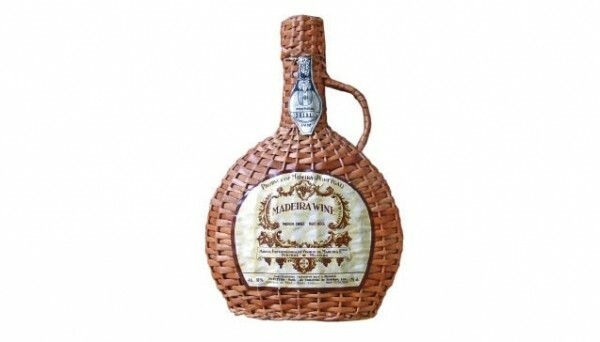 Supposedly, it was Madeira that was used for the celebratory toast upon the signing of the Declaration of Independence. Prior to fortification, Madeira is typically made from four main grapes: Malmsey, Verdelho, Sercial and Bual. A fifth—Tinta Negra Mole—is mostly used for low-quality bulk Madeira, the stuff used for cooking. Essentially, styles of Madeira follow the grapes used to make it: Malmsey is the sweetest and richest style of Madeira, and Bual is medium-sweet, but still rich and concentrated. Verdelho is medium-dry, and Sercial is the driest style of the Madeiras. So, you can determine which style of Madeira you’re purchasing by looking for the words Sercial, Verdelho, Bual or Malmsey, although sometimes labels also indicate dry, medium-dry, medium-sweet and sweet. Sercial is not considered better than Malmsey because it’s drier, nor vice versa. It’s really just a matter of which style—drier or sweeter—you’re looking for. And, within those four basic categories of Madeira, you’ll find wide ranges in quality. One of the most interesting aspects of making Madeira is that it pretty much goes through hell during the production process. Madeira spends a minimum of three months in heated tanks (122 degrees Fahrenheit) during an intense cooking process called estufagem. During estufagem, the wine’s sugars caramelize, oxidation occurs and the wine becomes maderized, just like that icky bottle of Chardonnay that you left on the sunny back seat of your car for too long. But in the case of Madeira, maderization is a good thing. And a beneficial byproduct of the Madeira-making process is that you wind up with a wine that is virtually indestructible. It’s already been heated and maderized, so there’s not much more you can do to harm it. Thus, it’ll last forever on the shelf or in the cellar at home. In fact, Madeira is so robust and tenacious that it can last a long time even after opening the bottle. And keep in mind that Madeira’s powerful acidity makes in a good partner for fatty foods like creamy soups, rich cheeses, soufflés and such.